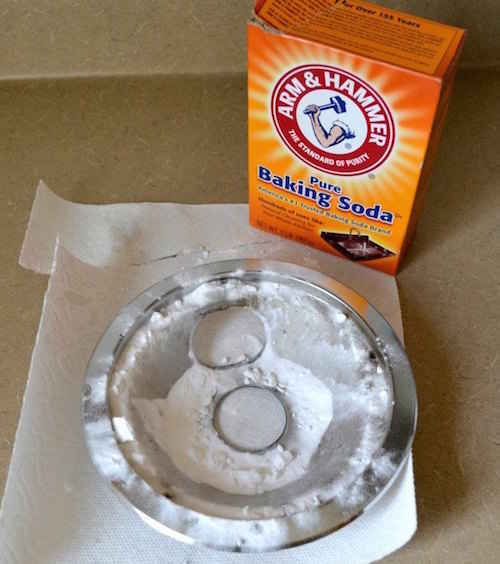 8) Sprinkle bicarbonate of soda into a burned pot. Add 2 cm of water and set it to boil. Leave it to sit for 15 minutes and clean it off! 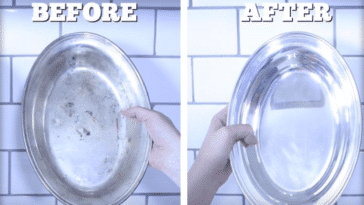 9) Clean a broiler pan by sprinkling it generously with bicarbonate of soda and spraying on some white vinegar. Leave it to work for 2 hours and scrub. 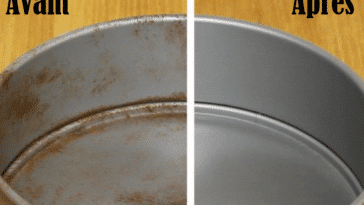 If necessary, add a paste made from bicarbonate of soda and vinegar after leaving the pan to sit for two hours, in order to scrub effectively. 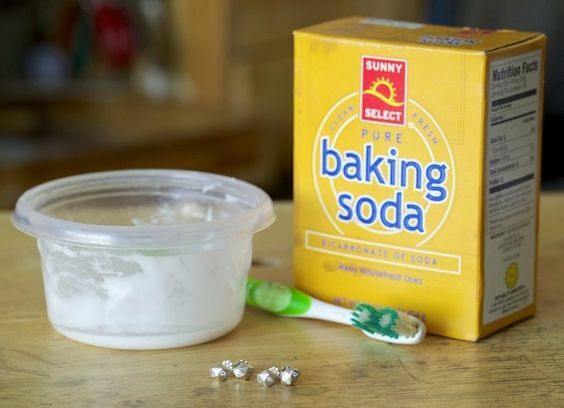 10) Shine up your silver jewelry with a paste made from water and bicarbonate of soda. You can use your fingers or a soft toothbrush in order to do so. 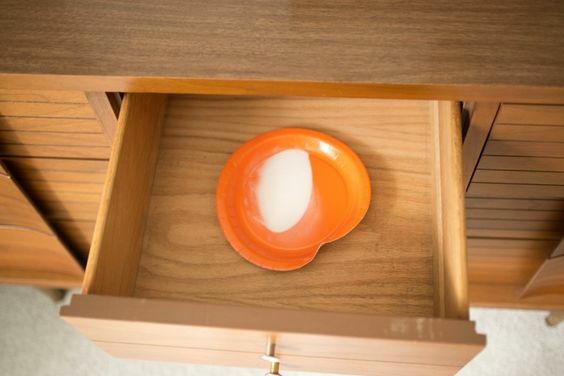 11) Put some bicarbonate of soda into your drawers to remove the smell of must. This also works for fridge odours. You can put the bicarbonate of soda into a sachet with a few drops of essential oil, so as not to have powder everywhere. 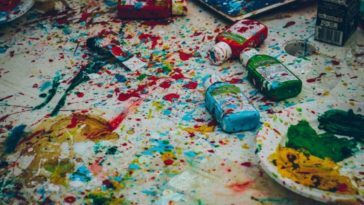 13) If your pet has had an accident on a rug or carpet, sprinkle the stain with bicarbonate of soda, and leave it to work for 3 hours before vacuuming it up. 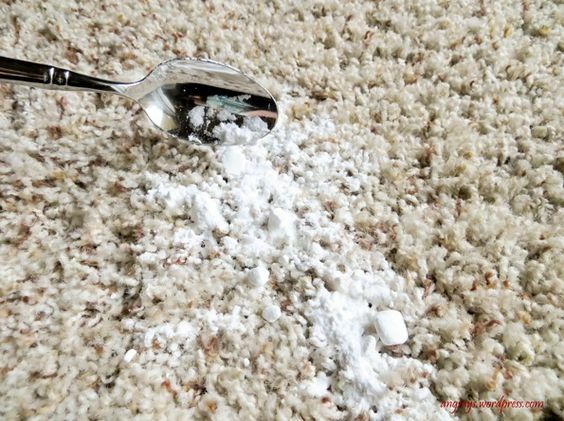 In order to prevent your pet from putting their nose in it or walking all over it, you can cover it with a bowl while you are allowing the bicarbonate of soda to work. 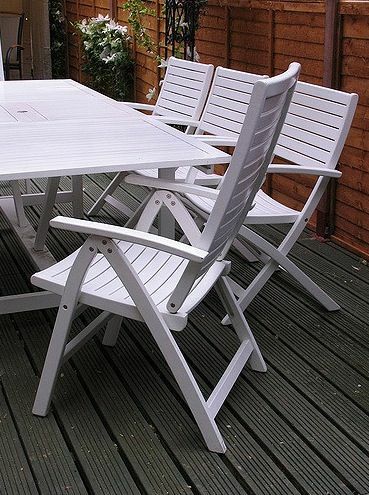 If the stain isn’t gone, sprinkle it with more bicarbonate of soda, spray it with white vinegar and scrub. 14) Once a month, clean and sanitise your mattress by sprinkling bicarbonate of soda all over it. Leave it to work for a few hours and vacuum it up. You can add a few drops of essential oil to the bicarbonate of soda if you wish. Lavender is recommended.